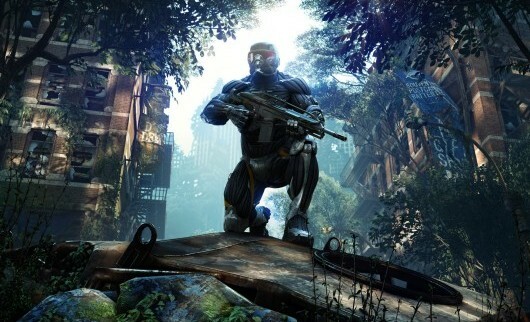 Do you really think Crysis 3's Prophet cares what a bunch of reviewers think of his game? Yeah, the guy in the multi-million-dollar Nanosuit is going to waste his time reading the opinions of some people on the Internet. Come on! But if you're not Prophet then why not take a quick glance at what those other reviewers had to say? And don't forget to read our review too, you scallywag! · Game Informer (85/100): "This impressive graphical fidelity takes a serious hit in the transition to multiplayer. Though Crysis 3 has some of the better-designed maps in the series, the muddied textures are a far cry from the jaw-dropping visuals of the single-player campaign, especially on consoles." · IGN (85/100): "It's not quite a next generation experience come early, but it's a superbly controlled, tightly paced and tactically flexible shooter with a satisfyingly focused story, and an excellent way to tie up the Crysis series... for now." · Destructoid (75/100): "Crysis 3 attempts to strike a balance between Crysis and Crysis 2, but in doing so manages to lose a little bit of what made each game appealing. The result is a title that doesn't truly match the open-ended excitement of the first game nor the revelatory empowerment of the second, yet manages to provide enough of both to at least tantalize, even if it doesn't completely satisfy." · GamesRadar (70/100): "A gratifying shooter experience. Even though the campaign is on the shorter side, there are a few visual hiccups, and some of the enemy AI is unbalanced, those small gripes get overshadowed by Crysis 3's tactical gameplay, beautiful environments, and superb online multiplayer. While not treading new ground for the FPS genre, Crysis 3 is a solid shooter." · VideoGamer (60/100): "By the end of the game I was bored silly, and considering the scope of what was going on that shouldn't have been the case. Sadly, bar a few exceptions – a Jurassic Park-style hunting section in long grass, an open-ended assault on Ceph AA emplacements – I'd rinsed and repeated the same thing so much that I couldn't care less."